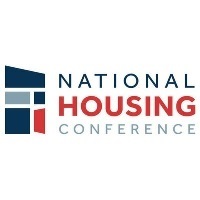 WASHINGTON — (RealEstateRama) — The National Housing Conference (NHC) will conduct a press conference at 8:00 a.m. on April 16, 2019 at the National Press Club to release its 2018 Paycheck to Paycheck annual report and database. The latest report explores affordability challenges of workers in five job categories in the construction industry and our online Paycheck to Paycheck database. The database currently highlights the costs of renting and homeownership for workers in 81 occupations in 203 metro areas nationwide and will be updated to 259 metro areas. Data on three-bedroom rentals and lower down payments will also be added to the database. The press briefing will be held at The National Press Club and kicks off NHC’s annual Solutions for Housing Communications convening. Please RSVP by April 11 to NHC’s Marketing & Communications Director, Antoinette Sykes, asykes@nhc.org and to receive an embargoed copy of the report with a private database web link.